Did you know that January is National Oatmeal Month? Here are 14 recipes that you need to try! There is something warm and comforting about a hot bowl of oatmeal. Enjoy some unique twists on the traditional bowl of oatmeal. Carrot cake always reminds me of dessert, but who says you can't have dessert for breakfast? This recipe from Elle isn't nearly as sweet as an actual carrot cake so you can eat it without any guilt. Have you ever topped your oatmeal with a fried egg? I haven't but this savory oatmeal from Farrah sounds very intriguing! I'm definitely going to have to try it. Ok, this next one might actually be good for either breakfast OR dessert. It sounds delicious, doesn't it?! Ever get back from a morning run famished? Here's the perfect oatmeal to refuel. This is something I definitely wouldn't have thought of myself - adding cauliflower to your oatmeal! It makes it a lower carb meal with all the warm comforting goodness of straight oatmeal. I love a bowl of oatmeal, but sometimes it seems so hard to make in the morning. Enter the wonderful world of Overnight Oats. I only discovered overnight oats this past year. I was always a little intimidated by them, but they truly are a lifesaver and perfect for meal prepping your breakfast for the week. Carmy breaks down overnight oats and gives you 4 easy recipes to start your day right! Apple pie isn't just for dessert or a special occasion. With only 5 ingredients, it's easy to start your morning with the taste of apple pie. 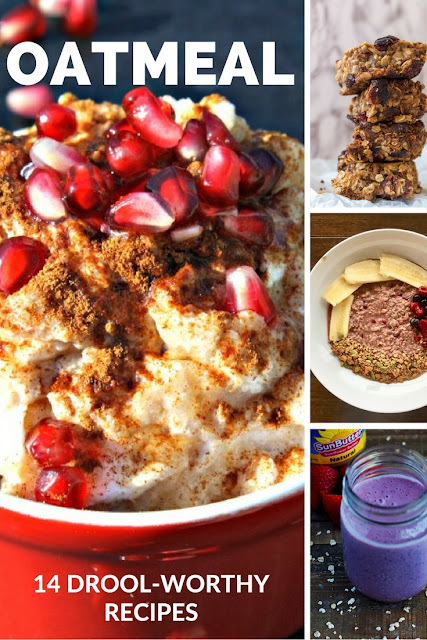 @EnjoytheCourse is sharing 14 drool-worthy oatmeal recipes for #NationalOatmealMonth. Check them out! While overnight oats seem fool-proof, there are some common mistakes to avoid. Janice tells us how to avoid these mistakes and gives a delicious recipe to enjoy as well. Nothing better on a cold winter's morning than the comfort of chai tea. Why not combine that into some overnight oats? Apple pie isn't the only pie that can be enjoyed as overnight oats! How about some cherry pie for breakfast? Maybe more traditional oatmeal isn't really your thing. Did you know you can add oats to your smoothie? I actually do this quite a bit to thicken up my smoothies. Here's an oatmeal smoothie recipe that would be perfect to start your day. Or to recover after a workout. Or just for a treat on a hot summer day. Is it summer yet? Oatmeal also makes delicious bars and bites. Oatmeal isn't just for breakfast. How about some oatmeal snacks? These little bites look so good and would be sure to add a little pep to your step next time you need an afternoon pick-me-up. 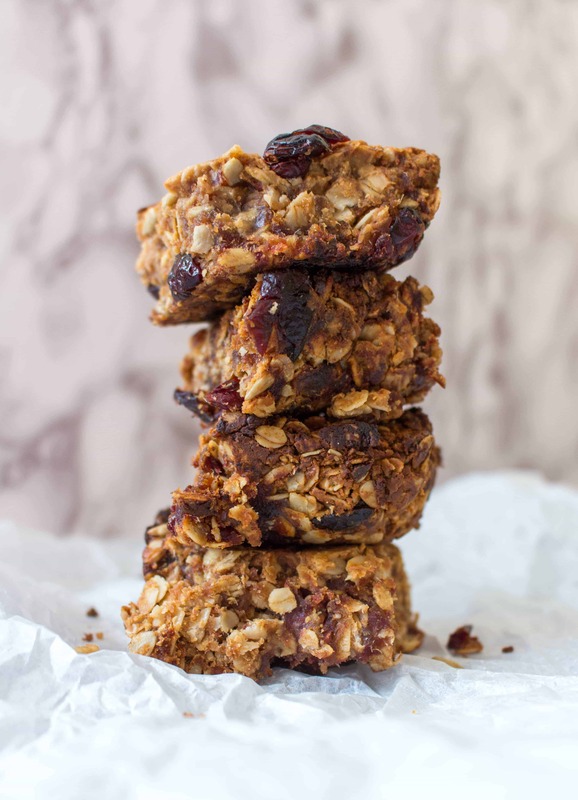 Peanut butter, dates, and oatmeal (with a few other ingredients) combine into a delicious energy bar that's sure to satisfy. These would be perfect for after a run. Maybe you need a little energy to get you out the door for your next run. You'll have to try these energy bites. Oatmeal is amazing - no matter how you like it prepared. There are so many benefits, but that's a topic for another day. What's your favorite way to enjoy oatmeal? Which of these recipes do you want to try first? I love oatmeal so thanks for sharing. I am lazy so I oook it and add brown sugar, honey, nuts, raisins etc. Most of time, I just use the packages. I love oatmeal! I have it almost every morning for breakfast (usually instant oatmeal, at my work desk LOL). I need to try the overnight oats! That's a good idea, too! I want to make my own instant oatmeal packets, though. I hope you find a new recipe to love! I love oatmeal and eat it often but I am super boring. Will have to try some of these! I do love a good oatmeal. Though I had one the other day that was AWFUL. The worst oatmeal I've ever had. I definitely need sweet, not savory! Oatmeal is my favorite breakfast in the winter so I’m loving all of these recipes - thanks! Omg the tiramisu oatmeal sounds amazing! I love Siracha and would never have thought to put it on my oatmeal! I actually have done a similar combination that you suggested, but with rice. Never thought to do it with the oats! I'm trying it! Ooh, pomegranate oatmeal sounds great! 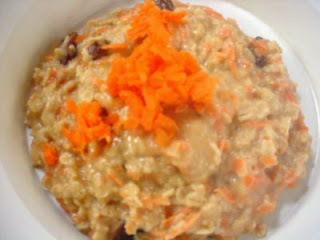 I love oatmeal and make baked oatmeal in ramekins that I can just heat up in the microwave. Interesting! One, I think I need to buy some ramekins. Two, I've never tried baked oatmeal. I'll have to find some recipes. I love oatmeal--I never do much to mine more than just oatmeal and maple syrup! I"m so boring. I do stir in the GLG protein now. Can't go wrong with maple syrup! I did stir in some Cherry GLG last week. It was a little more sour than I was expecting, but since I don't normally like cherry flavor, I was pleasantly surprised that I liked it. This post is perfect timing. I just recently starting making oatmeal one of my staple breakfast meals, and I don't want to get bored with it too quickly. I'll definitely be checking out some of these recipes. Thanks!